As we start a new year, each of us typically reflects on the previous year and then decides to make resolutions that hopefully we will keep through the month of January. Well, I wanted to do something similar to start the year. We completed one full year of offering an online system for training. Within that time, we created several new introductory courses for new hires, moved to a new learning management system to house NTCA University, and created a pricing structure going forward so that all members – no matter the size – could afford to sign up and take courses. In case you haven’t heard, NTCA University is a member benefit so we wanted to make sure that it was affordable for all members. You can have users come together in a meeting, so only one login is required for your company – or you could have a login for each user. It is up to you. Keep in mind that NTCA’s Partnering for Success program now has a $50 voucher for the NTCA store that contractors can choose as one of their vouchers. That means that if you are a one- person shop and choose to use the $50 voucher for access to NTCA University, you would have access for free to the site for the whole year. To purchase your subscription, you can visit the NTCA store at https://tile-assn.site-ym.com/store/ListProducts.aspx?catid=490398 to make your purchase (or enter http://bit.ly/2taYmOO in your browser). So what are our resolutions for the year? As I said, many of us break our resolutions early in the year so I don’t plan to make any resolutions that will be quickly broken, but here are some items that NTCA will be working on this year. We will continue to develop online training for new hires. So if you have apprentices, this means that we will start working on a three-year setter program. For all others, you can use these courses to train your new hire on how to plan and set tile. We will also be working on courses from the Training and Education sub-committees. The CEU Technical sub-committee is working on courses explaining the necessity of documentation and how to properly document and the CEU Management sub-committee is developing introductory courses to estimating. 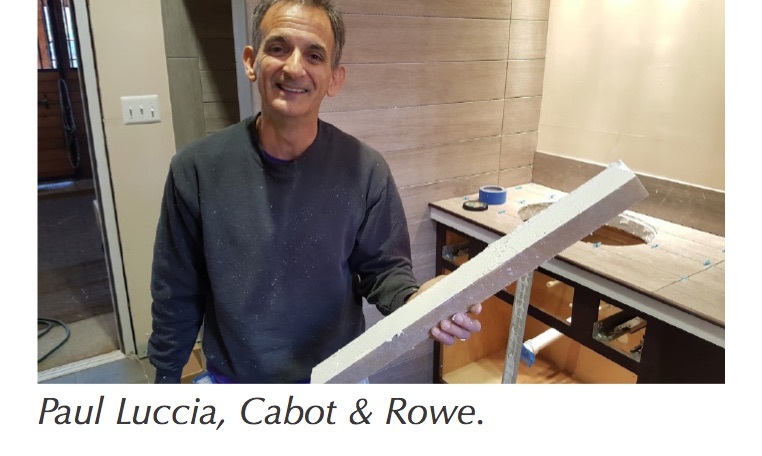 We will also be assisting Scott Carothers of CTEF with developing courses for people to take prior to completing the hands-on Certified Tile Installer Test. Again, it looks like it will be a busy year again in 2018. If you have any questions or have ideas about courses that you’d like to see us pursue, please give me a call or send me an e-mail. 770-366-2566 or [email protected]. As I wrap up my first year on the job as the NTCA Five Star Contractor Program Director I have been reflecting on some of the items that we are implementing for 2018. One of the first items that comes to mind is the update to our application. This has great significance because it is essentially a roadmap on how to become a Five Star Contractor. Our new application incorporates the building blocks to a Five Star Contractor: Integrity, Professionalism, and Craftsmanship. In order to build a firm foundation, your company culture must value continual investment in itself. So how do we find companies that have this culture imbedded on all levels, and how do we evaluate them for acceptance into our group? These are the questions we asked ourselves when we updated our application. I will touch upon some of the key elements of the application process in the hopes that you can recognize greatness in your own company, and if not that it can inspire you to rise to the challenge. Integrity – the quality of being honest and having strong moral principles, and the state of being whole and undivided. The company pays all federal, state and local payroll taxes, worker’s compensation, unemployment, FICA, etc. for all employees. As a Five Star Contractor, you are part of something bigger, which is why you are also required to have been an active NTCA member for at least three years. Active membership does not just mean that you have paid your dues; we are seeking out leaders who get involved and want to help shape our Industry. That’s why you will always see our Five Star Contractors out in force at events like TISE West, Coverings, and Total Solutions Plus. Professionalism – Exhibiting a courteous, conscientious, and generally businesslike manner in the workplace. This sums up how you do business as a whole. We request resumes for your designated company representative as well as a project manager to help us understand the background of your company. The backbone of all companies is their employees and we want to know that you value them and invest in them. That’s why we require that you have an active Safety Program as well as an Employee Manual/Handbook. Each day contractors need to interact with many partners such as material manufacturers and distributors. Successfully navigating these relationships is imperative, so we require that you gather three reference letters from your vendors/suppliers attesting to your professionalism in the tile industry. How your client sees you is the best judge of all, so we also require three letters of recommendation from your client base such as architects, designers, general contractors, or owners. Craftsmanship – One who creates or performs with skill and dexterity especially in the manual arts. Now we address the heart of our contractors – the artisans. It is our belief that it takes one to know one, so two letters of recommendations from peers or competitors are required. Since our group encompasses national membership, we needed to find a way to evaluate skill level. 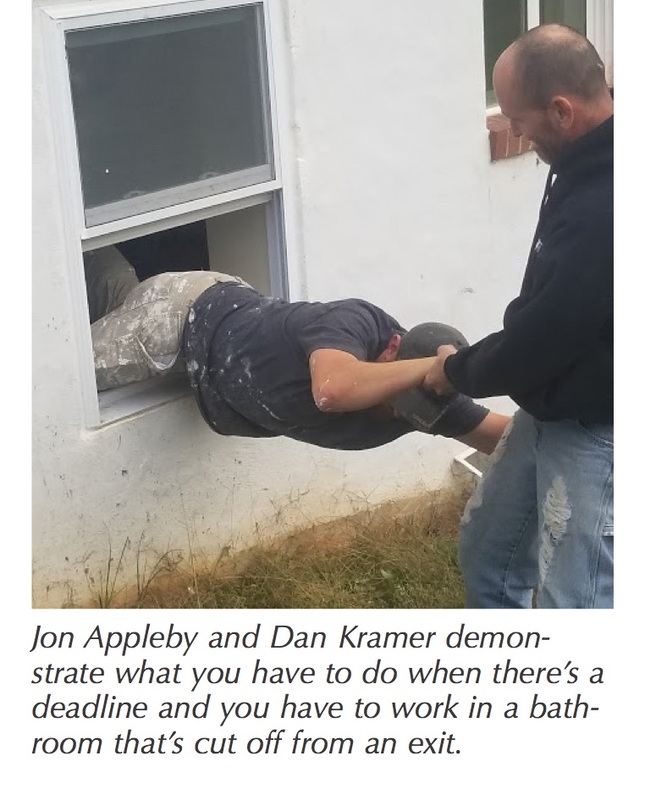 To that end, it was decided that at least 10% of your field installers must be Certified Tile Installers through the CTEF or have completed a three-year apprenticeship program approved by the Department of Labor. 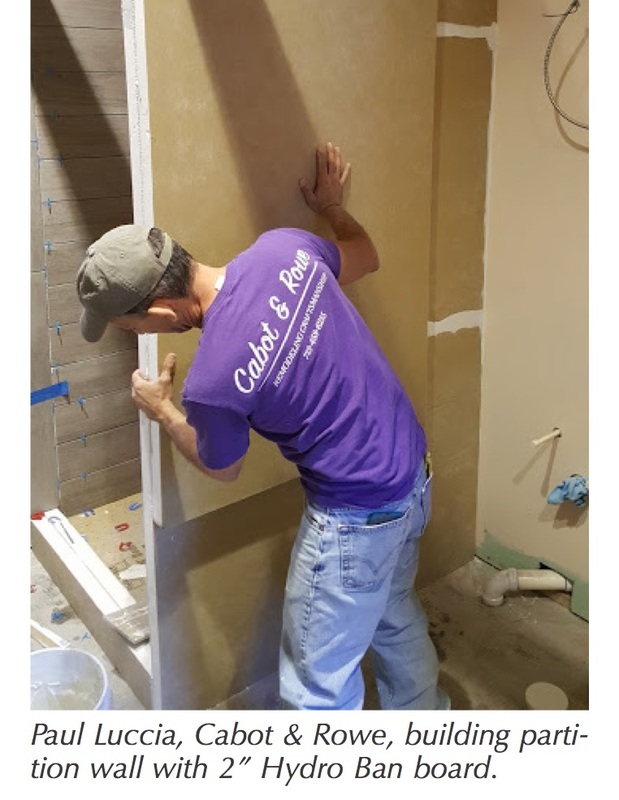 Although it is required that 10% be certified, many of our Five Star Contractors have fully embraced this program and are far above the minimum needed. hope that others see our efforts and are inspired to join us. If you would like additional information about the NTCA Five Star Program, please reach out to me at [email protected]. Good works and camaraderie enjoyed while renovating Madison Fields in Dickerson, Md. Madison Fields (madisonfields.org) in Dickerson, Md., is a fully functional farm that offers an inclusive environment where adults and children – many with special needs – can play, learn, and work together. Among the features of the farm is an Equestrian center that fosters a nurturing and healing partnership between horse and rider that benefits children and adults with autism, developmental disabilities, wounded veterans or the local community. 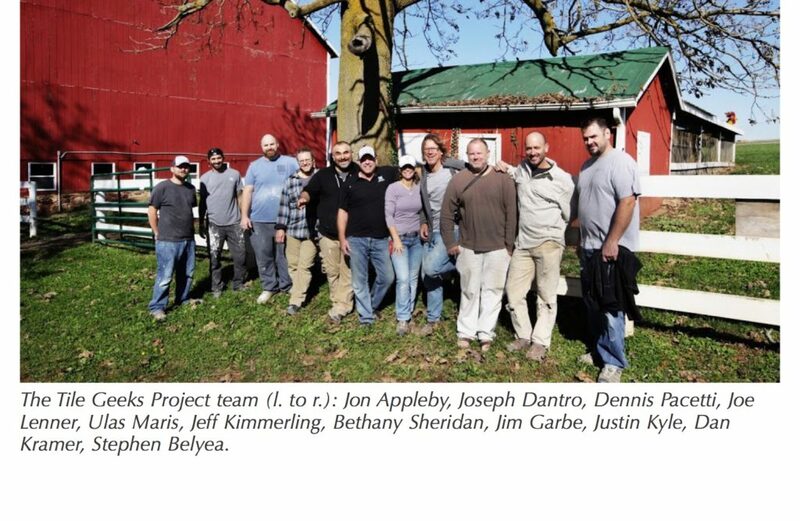 For 10 days at the end of October 2017 into early November a group of 15 tile installers who are members of the Tile Geeks Facebook group came together to donate their time and expertise to renovate various areas of the farm – almost 3,000 sq. ft. in all. Justin Kyle, owner of Kyle’s Tile in Ocean View, Del., a Tile Geek administrator and NTCA member, set this plan in motion a year prior. He was inspired while at a training session, working with many fellow setters. After a flurry of emails to children’s charities that went unanswered – and a rough poll of Geeks who might be interested in such an endeavor – Kyle received a response from Madison Fields in April 2017, expressing needs that could be met by the tilesetting group. And it just so happened it was virtually in Kyle’s backyard. The original scope of work morphed from a “bunch of bathrooms in an extra house that the foundation was trying to buy on a property next to the farm,” Kyle said. 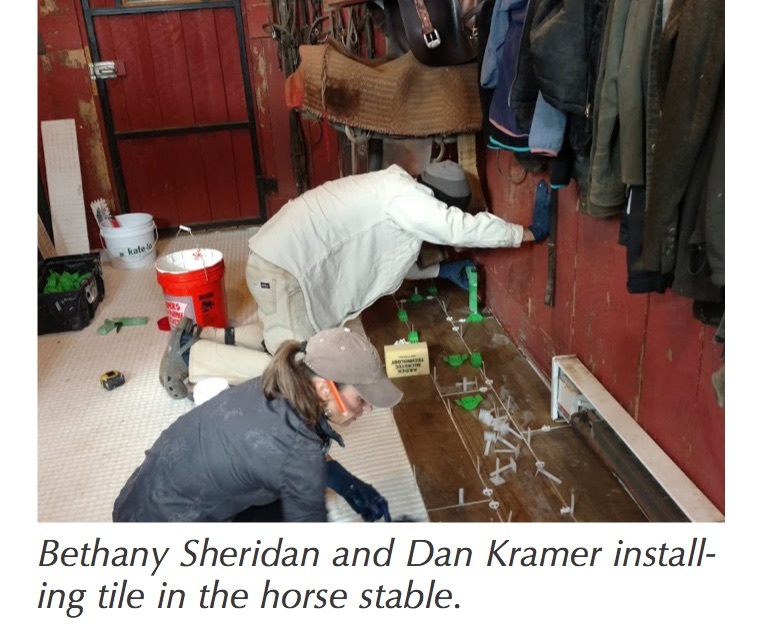 That deal fell through, but instead there was a need for much more tile work in other parts of the farm, including four bathrooms, a tile floor in the barn itself, and a large floor in one of the resident houses. When Kyle first hatched this notion, he ran it by those Tile Geeks on a shuttle bus with him at a training class. He got enthusiastic responses, so he set up a separate Facebook group (The Tile Geeks Project) and added the people he thought might be interested in doing it. “From there it just blossomed,” he added. Those who attended came from all over the country: LATICRETE rep, Jeff Kimmerling, Milwaukee, Wis.; Dennis Pacetti, Pacetti Tile and Remodeling, Inc., Huntingdon Valley, Pa.; tile setter James Morris, Philadelphia, Pa.; Paul Luccia, Cabot & Rowe, Houston, Texas; Ulas Maris, Maris Tile Pro, East Moriches, N.Y.; Metin Gungor, Dekor Construction, LLC., Columbus, N.J.; Jon Appleby, Appleby Custom Tile, Bucyrus, Ohio; Joe Lenner, Infinite Ceramic, Emmaus, Pa.; tile setter Jim Garbe, Schenectady, N.Y.; Joseph Dantro, On All Floors, York, Pa.; Dan Kramer, DKCT, Inc., Buxton, N.C.; Stephen Belyea, JSG Tile and Stone, Weymouth, Mass. ; tile setter Bethany Sheridan, Sterling, Va.; Carl Leonard, Cutting Edge Tile, Roebling N.J.; and George Maneira, New Age Stone, Jackson N.J.
A variety of setting materials was used on this project including: Strata_Mat™, Hydro Ban®, Hydro Ban® Board, Hydro Ban® Sheet Membrane, Hydro Ban® Flange Drain, Hydro Ban® preformed shower systems including curbs, and corners, Hydro Ban® Adhesive & Sealant, 3701 Fortified Mortar, PERMACOLOR® Select grout, Tri-Lite™ mortar, and more. Donations of materials were another story. Since the project was established right before Coverings, Kyle had the chance to speak with Noah Chitty of Crossville in person in Orlando to ask for donations. Crossville was very generous with their tiles, donating 3,000 sq. ft. tile from multiple series for the project, including Nest, Notorious, Speakeasy, Cotto Americana, and Virtue. Likewise, Kyle had been in contact with LATICRETE’s Ron Nash about this effort, who gave “his blessing. I even got to sit down with Henry Rothberg and he said whatever we need is ours,” Kyle said. In fact, LATICRETE wound up sending materials above and beyond what was requested, which wound up coming in handy when some unexpected situations cropped up later. “We asked LATICRETE for what we expected to need,” Kyle said. “They sent out some extra materials including the new 257 Titanium thinset, and 2” Hydro Ban board, which was put to good use. Beyond the donations of labor and materials, Kyle knew that a “slush fund” account was needed for incidentals like plumbing and vanities. To address this, Kyle established a silent auction and Tile Geek members donated items to be auctioned off. Contractors Direct and Norton donated saws, and J&R Tile donated an iQ dustless saw; Shannon Huffstickler from Schluter was instrumental in donating three shower kits, and MLT’s Mick Volponi donated several MLT kits also. All items were sold to the highest bidder, which allowed the group to have some cash to work with. 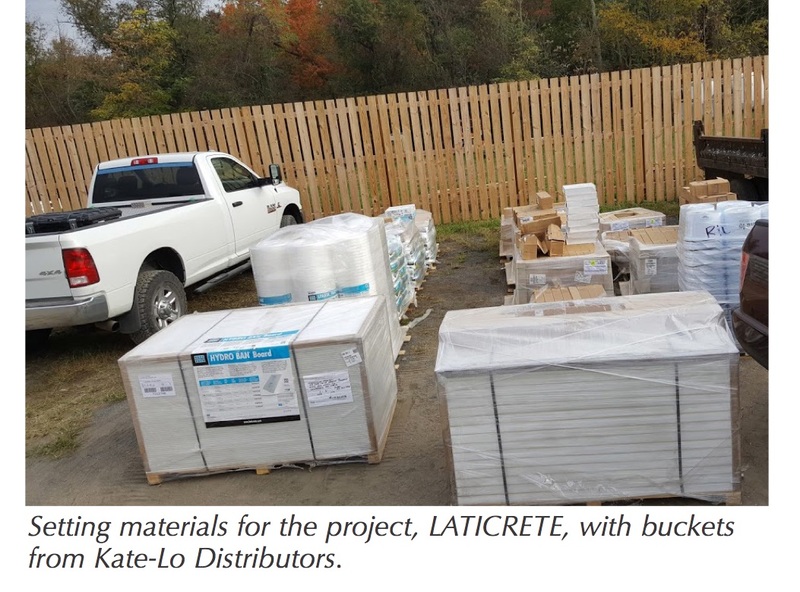 “To top it off, Justin Ernst of Minnetonka Minn., contacted Kate-Lo Tile and at his request, they shipped a pallet of buckets to the jobsite for us to use,” Kyle said. In addition, iQ itself donated an iQTS244 dustless saw to the effort that was used on site and then raffled off at the project – Ulas Maris held the winning number! Kyle had some concerns bringing so many “Type A” personalities to work together. But it all worked out, he said. Setters buddied up to work on different areas of the project and when they finished, jumped right in to other areas where work was still under way. “We all just blended together as I hoped,” Kyle said. Having the materials on hand made things better, Kyle said, even materials that had not been on the original wish list. For instance, the one bathroom in the horse stable was a bathroom someone had tiled improperly. It has a curbless shower, with no slope to the drain, tile stuck to the wall over drywall, and no waterproofing. The Tile Geeks team went in and ripped it all out. In the end, the project was win-win – delivering renovated spaces for the organization and a time of connection and camaraderie for the setters. 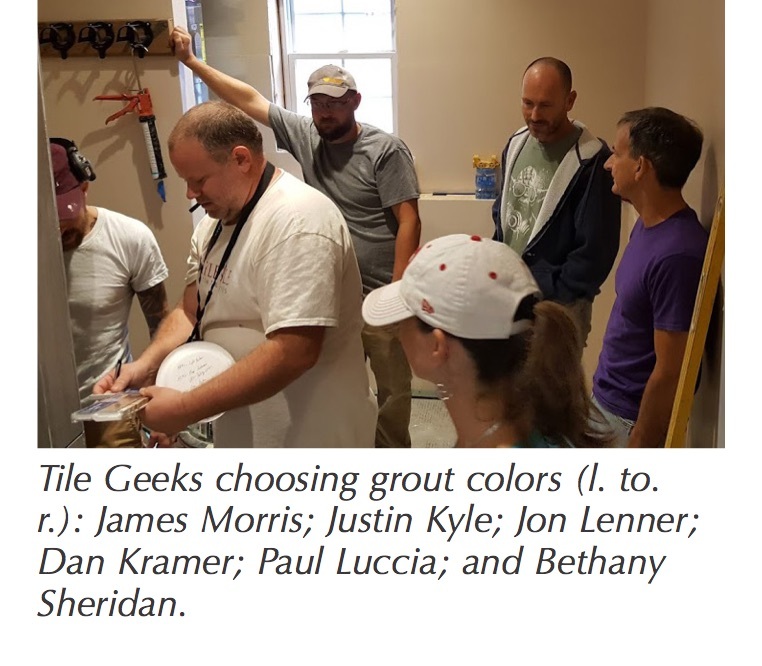 Stephen Belyea, a NTCA State Ambassador as well as a Tile Geek member, said, “It was a pleasure to be a part of the Tile Geeks Project. It was very rewarding to donate my time to the Autism Foundation. It was a bonus to do so with such a great group of people. Everybody that was willing to donate their time was also there with a great attitude. We all came from different places and different backgrounds, but we all had the same goal. We were all positive and willing to work hard and do what it takes to get the job done. Holy Trinity Greek Orthodox Church sits on a 20-acre (8,09-hectare) site in Carmel, Ind. It was the first church to be constructed in the Triad Byzantine style since the Hagia Sophia, which was built more than 1,400 years ago. The church design includes a dome with a diameter of 55 feet (16,8 m) that was built and raised up from the ground, bronze doors weighing 600 pounds (272 kg) each at the grand entrance, and the ability to accommodate more than 600 worshippers. Because the expression of creative beauty within the Greek Orthodox Church’s places of worship is a major tenet of the Church, the members of Holy Trinity decided to have the floors and some vertical spaces dressed in tile and stone. CJK Design Group specified large-format 24” x 24” (61 x 61 cm) and 12” x 24” (30 x 61 cm) porcelain tiles from Daltile’s Diamante, San Michele and Continental Slate series for the narthex, nave and sanctuary. But when the church was built eight years previously, the floors were finished in polished concrete that produced a nonporous, sealed surface that did not offer the proper finish for the installation. Traditional shot blasting could not be used for surface preparation because of the deleterious effect that it could have on the painted frescoes and delicate icons, which were created with a centuries-old process using egg tempera paints. Innovative technology produced a solution that circumvented tradition and provided a breathtaking foundation to anchor the beauty that lines the walls and ceilings of the narthex, nave, sanctuary and ambulatory at Holy Trinity. Installers from Indianapolis-based Starnet contractor Certified Floorcovering Services (CFS) used MAPEI’s ECO Prim Grip primer to cover the polished concrete surface, eliminating the need to shot blast and potentially damage the church’s painted treasures. 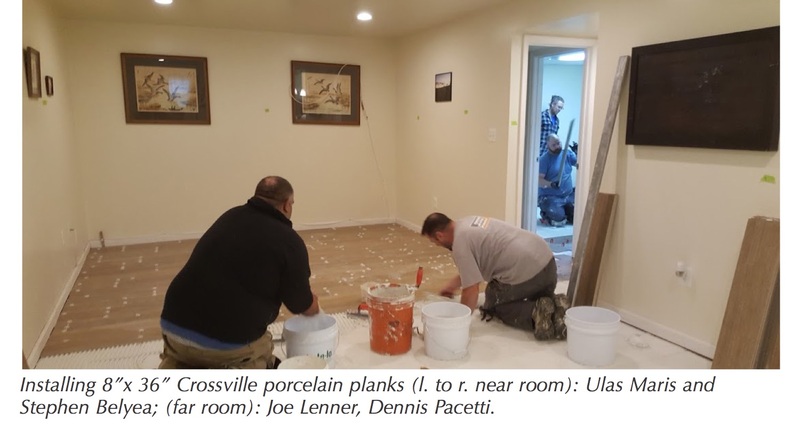 Next, the crew tested and used Ultraplan LSC – a MAPEI self-leveling liquid skimcoat – to patch and smooth all floor surfaces, again reducing dust worries. The crew also used Mapelastic CI liquid-rubber membrane for crack isolation in the concrete flooring. During the first three weeks of work, the church still held services in the nave. Once the floors were prepared, the CFS installation crews worked meticulously to the architects’ plans. The crews transitioned between varied types of porcelain tiles and marble to produce a look that complemented and accented the intricate icons and frescoes. The large-format 24” x 24” (61 x 61 cm) and 12” x 24” (30 x 61 cm) Daltile porcelain tiles for the narthex, nave and sanctuary were set with Ultraflex LFT mortar and then grouted with Ultracolor Plus FA. In addition to porcelain tiles, red “Rojo Alicante” marble tiles were set as borders and for transitions between the white porcelain tiles. The marble tiles were set with Kerapoxy 410 100%-solids epoxy mortar; these tiles were also grouted with Ultracolor Plus FA. The CFS crews hand-cut many of the Rojo Alicante tiles to fit around existing structures in the church and so that they could tile a number of vertical elevations in the floor. In the narthex and nave, the crews set four prefabricated mosaic medallions that continued the iconography from the walls to the floor. The crews first used Mapecem Quickpatch concrete patch and Ultraplan Easy self-leveling underlayment to patch and level the substrate beneath the medallions. Then, the crews set the medallions in place with Ultraflex LFT. The installers also set Daltile Keystone glass mosaic tiles along the inner walls of the baptistery, and they interspersed Glass Horizons mosaic tiles with Crema Marfil marble pillars on the baptistery’s exterior. After waterproofing the baptistery with Mapelastic AquaDefense membrane, installers used Adesilex P10 glass tile mortar to set the mosaics. Mapesil T sealant was used to fill all expansion joints and soft joints where vertical and horizontal tiled surfaces met. Innovation and determination bolstered the flooring contractor’s efforts to successfully complete the beautification of Holy Trinity Greek Orthodox Church. Because CFS was so proud of its work, it entered the project in the Starnet Design Awards; the company won the Silver Award for the 2017 Unique Installation Challenge. Lots of good things get their start in the garage. Bands, science projects, and in this case the company now known as H.J. Martin and Son, founded when Henry John Martin began selling paint and tile out of the family garage in 1931. Eighty-six years later H.J. Martin and Son is a multi-divisional specialty contractor, self-performing commercial and residential flooring, walls and ceilings, glass and glazing, doors and hardware, and fixture and millwork installation nationwide. 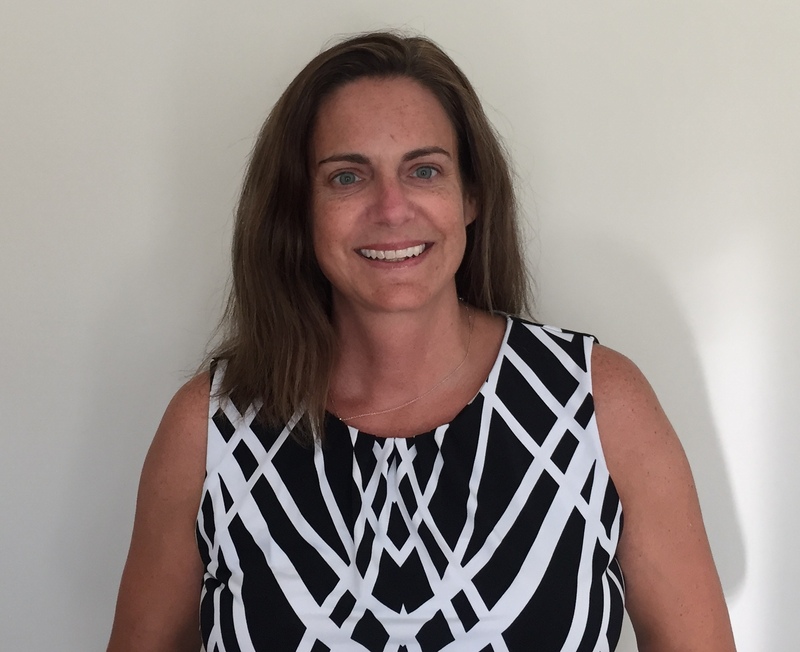 The company’s diversity helps it cross-train its installers and helps to retain top talent. If one department is slow and another is busy, it can readily adjust. The company also can offer package discounts to the general contractor or end user on multiple phases of a project. The contractor gets great satisfaction from the entire process of contracting, from showroom to installation, and the customer’s excitement about the final result. H.J. Martin and Son prides itself on its team of in-house designers, who have detailed knowledge of its tile products, and are experts at finding the right fit for each individual client. 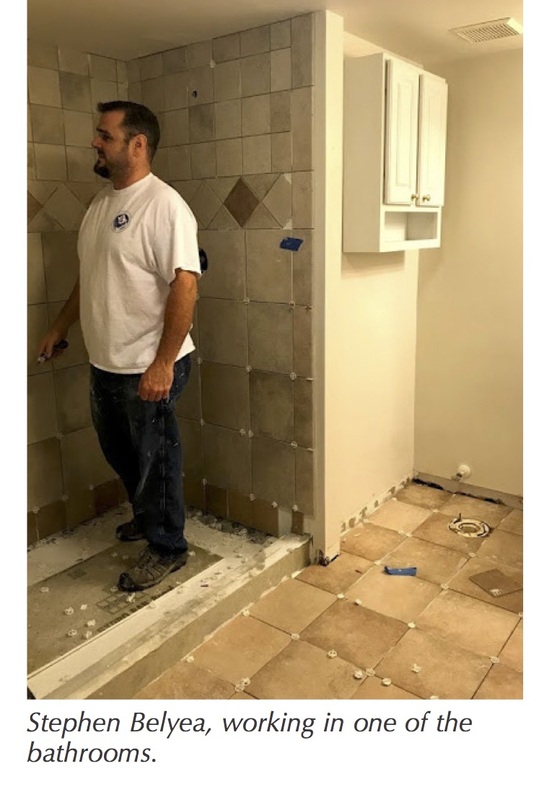 “We have long believed the thing that sets us apart from other tile contractors is our highly experienced team of installers,” David Martin said. “They are true artisans, who continue to train on the newest installation processes. The commercial division installs tile and stone in office and government buildings, automobile dealer showrooms, educational and healthcare facilities, hospitality spaces and retail locations, among other places. In addition, H.J. Martin and Son has an in-house team of floor-care specialists. They are experts at ceramic and natural stone cleaning, sealing and restoration, along with grout cleaning, sealing and recoloring. If a new tile floor is not an option, refreshing existing flooring is a great option. Since H.J. Martin and Son strives to deliver quality products and installation to all of its customers, it joined NTCA in July 2014, with the belief that existing and potential customers will see its NTCA Five Star affiliation and know that they are receiving the highest quality of installation available. “As a company, we believe strongly in continuing education for our installers, designers and other flooring specialists,” Martin said. “We always strive for our people to be knowledgeable in the latest product advances and installation techniques through attendance at outside seminars or in-house training sessions. We believe that the mission of the NTCA embodies many of the same ideals. Although the company does not currently have Certified Tile Installers or ACT-certified installers on staff, more than 80% of its in-house installers are Journeymen and have completed the requisite four-year apprenticeship. This article is the first of three articles that examine, explore and explain the documents and publications essential to the health of our industry: The TCNA Handbook, the ANSI Standards and the NTCA Reference Manual. If you spend time with anyone involved in the proper installation of ceramic tile, the TCNA Handbook for Ceramic, Glass, and Stone Tile Installation will be the focal point of the conversation. Why? Because this useful guide assists in clarifying and standardizing installation specifications for tile. In addition to providing a selection of numbered installation “methods” for differentiating and easy reference, the Handbook includes various product selection guides for ceramic, glass, and stone tiles; guidelines for wet areas; field and installation requirements, and more. Produced by the Tile Council of North America (TCNA), the TCNA Handbook for Ceramic, Glass, and Stone Tile Installation has been published on a continuous basis since 1963. First, what is the TCNA? Tile Council of North America is a trade association representing manufacturers of ceramic tile, tile installation materials, tile equipment, raw materials, and other tile-related products. It was established in 1945 as the Tile Council of America (TCA). In 2003, it became TCNA reflecting how its membership has expanded to include all of North America. Tile Council is recognized for its leadership role in facilitating the development of North American and international industry quality standards to benefit tile consumers. Additionally, TCNA regularly conducts independent research and product testing, works with regulatory, trade, and other government agencies, offers professional training, and publishes industry-consensus guidelines and standards, economic reports, and promotional literature. 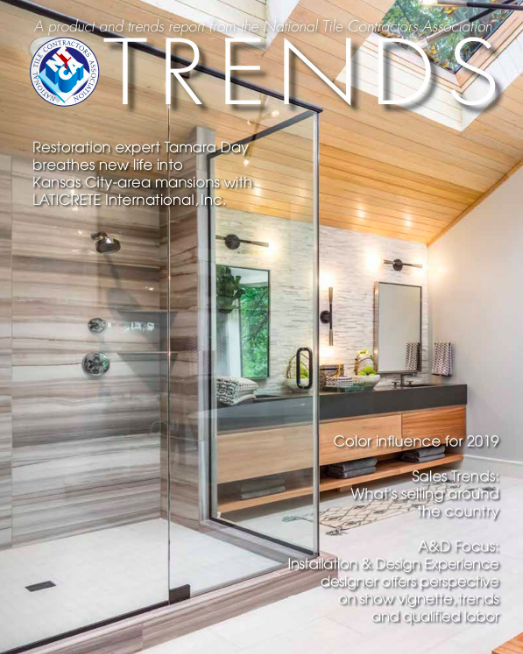 One of the highlights of the yearly Coverings show is hearing TCNA Executive Director Eric Astrachan review the state of the ceramic tile industry – from an economic perspective as well as from a creative and trend perspective in North America. TCNA also strongly supports the mission of the Ceramic Tile Education Foundation. What is the TCNA Handbook for Ceramic, Glass, and Stone Tile Installation? The TCNA Handbook provides installation methods from which to choose, based on the requirements of the installation or the types of applications in which they may be used. For example, will the tile be installed inside or outside? In a wet area such as a shower or steam room? Or in a dry area such as an entry foyer? Each method includes a generic drawing that shows each component or material required as you can see in the image below, which addresses installing stone floor tile. How is the Handbook organized? The TCNA Handbook works hand-in-hand with the ANSI Specifications to provide tile installations that are proven to stand the test of time. The Handbook is truly a living, breathing entity that evolves in lock-step with the tile industry. As new products get introduced – for example, new tile formats and new mortars and tools to support those formats – new installations methods quickly follow to ensure best practices. 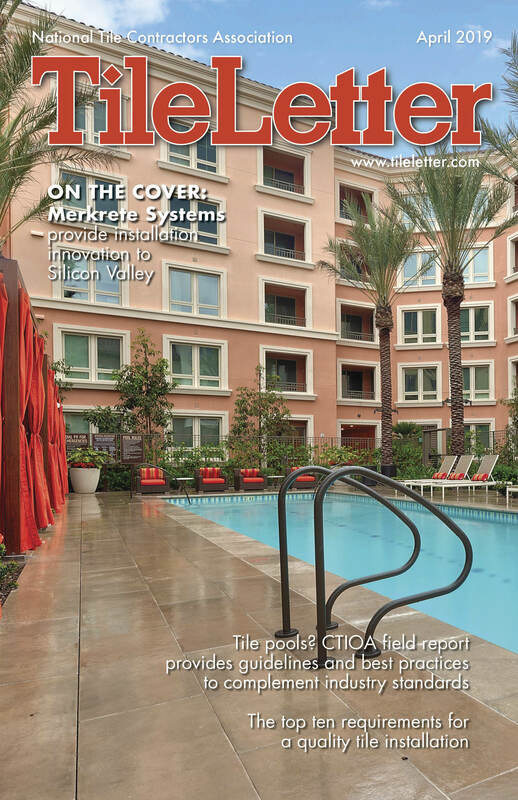 Other noteworthy changes that 2017 Handbook users will see include significantly more information on how to avoid the undesirable effects of wall-wash lighting on tile installations, new “Visual Inspection of Tilework” and “Design Considerations When Specifying Tile” sections, significant changes to the EJ171 movement joint guidelines, and a new method for tiling an exterior deck or balcony over unoccupied space (tile and stone versions). What makes the Handbook unique? The Handbook comes to life each year thanks to the Handbook Committee that includes representatives from the entire tile industry and all those touched by the tile industry – backer board, mortar, grout, membrane, tile and more manufacturers, industry associations, standards groups, construction specification groups and regional groups. It’s a balanced assembly of stakeholder voters that comes together to prioritize and address topics of concern. The TCNA Handbook Committee determines Handbook content through significant group discussion and consensus efforts, and through meetings in person biennially and more frequently in workgroups. Proposals for changes, often referred to as “submissions,” are welcome from any individual or organization. Would you like to become involved in the TCNA Handbook? All Handbook meetings are open to non-members, who are encouraged to participate in the discussions. If you would like to become involved, you can find meeting dates and locations posted on TCNAtile.com. Anaha® (which means “reflection of light” in Hawaiian) is a magnificent new condominium complex on the island of Oahu. Made of concrete, glass and steel, it is part of the Ward Village master-planned community near Kewalo Harbor in Honolulu. This new luxury high-rise was planned by Howard Hughes Corporation and designed by architects Solomon Cordwell Buenz of Chicago and Ben Woo Architects of Honolulu. The interiors were designed by global design leader Woods Bagot Interiors. The complex is composed of the Anaha Tower, housing eight residences per floor plus penthouses on Levels 36-38, as well as the Podium townhouses and flats, which occupy the first six floors and extend from the tower. The roof of the Podium (adjacent to the seventh floor of the tower) hosts an amazing selection of indoor and outdoor activity areas, including a cantilevered pool that extends 13 feet beyond the building’s edge and features a glass bottom. The LEED Platinum building was designed with the environment in mind – harmonizing with sea, sky and mountains. The exterior of the entrance area sports a “living wall” of plants and water elements framed with lava stone veneer that surround tile walkways forming the signature “W” for Ward Village. The interior of Anaha is just as awe-inspiring, with floor-to-ceiling windows that open every residence to views of the Pacific Ocean or the Honolulu skyline. Some expanses even look out toward the historic Diamond Head landmark. Floor and wall coverings received all manner of treatments, including stone and stone veneer in public areas indoors and out; (at the owner’s option) carpet, wood and tile in living spaces; stone and tile in bathrooms of the residences; and resilient floor coverings in service areas. Flooring, Inc. (a member of the Tile Contractors Association of Hawaii), was in charge of all aspects of the tile installations for interior and exterior walls, floors and specialty elements with the exception of the interior tile walls of the pool on the amenities deck. Their installers also handled moisture mitigation work and installation of wood, carpet and resilient floor coverings. A-American worked closely with General Contractor A. C. Kobayashi, Inc., to complete all the aspects of the installations on schedule, including the mega-challenge of zero tolerance in transitions between flooring types. Anaha’s 236-unit residence tower and 81 townhomes and flats were architecturally designed with a zero tolerance scheme for all finishes in the flooring landscape of the building. From interior to exterior, zero tolerance requirements meant that all transitions could hold no change in height from tile to wood to carpet to resilients, to respect accessibility for disabled persons according to the Americans with Disabilities Act (ADA). 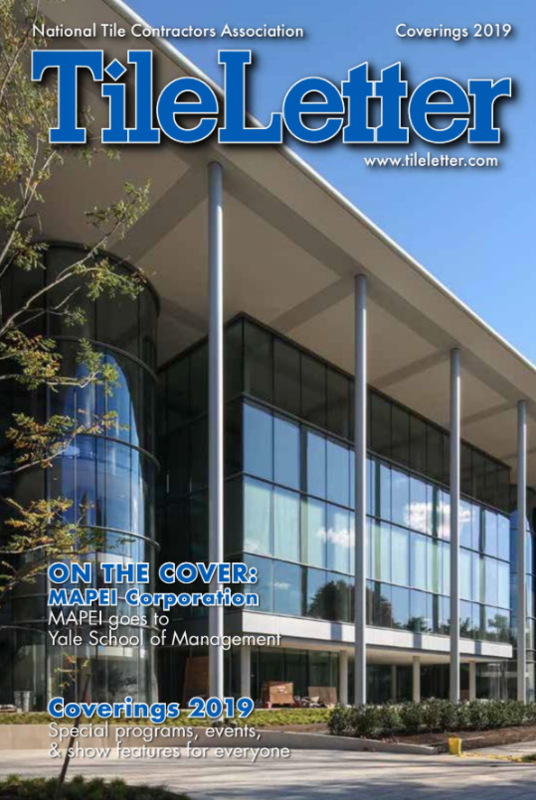 This zero tolerance created building and flooring challenges that were met by a wide variety of MAPEI’s concrete repair and flooring installation systems products for construction, surface preparation and floor-covering solutions. The fast-track schedule of the 38-story tower and the six-story podium required coordination and solutions for arising jobsite problems involving moisture mitigation and slab deformation involving post-tension concrete pours. A-American used MAPEI’s Planiseal™ VS alkali-resistant, epoxy moisture-reduction barrier for moisture mitigation throughout the complex. Planiseal VS expedites floor-covering installations by eliminating the traditional wait time required for new concrete slabs to reach moisture levels suitable for installations. After the concrete surface was properly profiled, the Planiseal VS was poured to cover each level in the building. After moisture mitigation, the floors were primed with one of three primers – Primer L™, Primer T™ or ECO Prim Grip™ – where appropriate. Then the installers selected two MAPEI self-leveling underlayments – Novoplan® 2 Plus and Ultraplan® 1 Plus – to use in appropriate areas in order to produce a smooth, level surface for installing tiles and stone. Both of these products are quick-setting, self-leveling underlayments and repair mixes for interior concrete and engineer-approved floors. MAPEI’s Mapelastic™ cementitious membrane was used for waterproofing and protecting exterior horizontal and vertical concrete spaces, while Mapelastic AquaDefense with Reinforcing Fabric, an advanced liquid-rubber, extremely quick-drying waterproofing and crack-isolation membrane, was used on interior surfaces before the tile and stone installations. Mapelastic AquaDefense dries after about 30 to 50 minutes and is then ready to receive any MAPEI polymer or epoxy mortar. Installation of exterior and interior tile and stone also used a variety of MAPEI’s mortars and grouts. For the ultimate bond, Lava Stone Veneer pavers and curbs surrounding the building were installed with MAPEI’s two-part Kerabond/Keralastic™ system – a premium dry-set mortar that is combined with a flexible acrylic latex additive. Where there was a need for speed, the A-American crews used the Granirapid® fast-curing system. Outdoor walls and benches that used Lava Stone Veneer and Cremino Stone Veneer in all sizes from mosaics to large-format tile were also installed with these two systems. All of these installations were grouted with MAPEI’s powerful Ultracolor® Plus FA – an ultra-premium, fine aggregate, fast-setting, polymer-modified, color-consistent, non-shrinking, efflorescence-free grout that can fill joint widths from 1/16” to 3/4”. In the residences and townhouses, tile and stone played a dramatic role as field tile and accents on floors and walls. Types and brands included Caesarstone for countertops; Atlas Concorde floor tile in Seastone Greige and floor, wall and door accent tiles in Black for residences and public areas; Marmi porcelain wall tile in “Thassos”; Natural Stone Design’s porcelain floor and wall tile in Dark, Basaltina, plus mosaic tiles of the same material for residences and public spaces; Daltile’s quarry tile in Arid Gray for laundry rooms in residences; “Luce Glass” glass wall tile from North Shore for public restrooms; Ann Sacks’ 2” x 8” “INCA” brushed aluminum tiles for kitchen backsplashes; stone tiles in travertine, basalt, tundra stone and granite; “Nublado Light” and “Walnut Brown” wall base tiles from Stone Source; and many additional tile and stone selections that were optional for residents at time of purchase. All interior tile and stone was installed with MAPEI’s thixotropic mortar, Ultraflex™ LFT™. This mortar has a high content of unique dry polymer, resulting in excellent adhesion to the substrate and tile and is formulated with Easy Glide Technology™ for ease of application. Both wall and floor tiles were grouted with Keracolor® S (sanded) and Keracolor U (unsanded) grouts from MAPEI’s grout color collections. The quarry tiles in laundry rooms and in the kitchen and prep rooms on the Amenities level were grouted with Kerapoxy CQ. This grout uses a proprietary aggregate to achieve its durable color, making it excellent for countertops, high-traffic areas, and areas needing stain and chemical resistance. Easy to maintain, Kerapoxy CQ will clean to the original color and contains BioBlock® technology to help protect against mold and mildew. The A-American installers performed exceptionally well with the many different types of installations in many different parts of the project, but they truly excelled on the installation of the tile on the inside and outside of the cantilevered leisure/lap pool extension on the Amenities level. Working on a crane that lifted them seven stories into the air, the crew set sheets of black glass mosaic tiles on the interior and exterior sides of the glass-bottomed portion of the pool that extends 13 feet out from the building. They used MAPEI’s Adesilex™ P10 bright white, multipurpose thin-set mortar formulated with non-sag properties to set the tiles. The Adesilex P10 was mixed with Keraply™ for increased performance in a submerged installation. After removing the protective cover sheets, the tiles were grouted with Ultracolor Plus FA. A total of 40 different products supplied by MAPEI – from substrate preparation to installation of all types of finished flooring – allowed the owners, architects, general contractors and installers, the peace of mind of sourcing all their needs from a single manufacturer to create a true island beauty. Cyber Insurance: can you afford to ignore it? Think identity theft and cyber crime can’t happen to you? Think again. Read on for reasons cyber insurance protects you, your business and your customers. Cyber insurance (also known as cyber liability insurance) was unheard of 15 years ago. Today, it’s as necessary as worker’s comp. If you lived in a flood plain would you not purchase flood insurance? If you rely on a computer – in any way – to run your business, you need cyber insurance. Consider what would happen if your computer was hacked, and someone gained access to the private information of all of your customers, including their credit card details? Even if you do not do credit card transactions, your data is at risk. The fallout could put any operation out of business, which is especially scary given hacking is a significant and real risk. Big corporations can have whole departments dedicated to creating policies and action plans, which deal with potential risks, including cyber crime. If you’re a small or even a medium-sized business, chances are you don’t have a risk management team. A good cyber insurance policy bridges the gap for businesses that don’t have the luxury of a risk management team. Many carriers offer preventive guidelines and services that will help reduce the chance of a cyber attack. In addition, they will be there to provide the necessary people and specialists and more importantly supply the funds should you have a breach. Most general liability policies do not include losses incurred due to the Internet. A comprehensive cyber insurance policy fills this important gap. You might be wondering why a general liability policy doesn’t cover you for cyber-related injury. A general liability policy covers your legal liability for 3rd party property damage and personal injury. This means someone needs to be identified as responsible for the loss, and some physical damage needs to occur. As electronic data is not considered to be “physical property”, it cannot be physically damaged. Cyber insurance offers tailored coverage for your business for 1st party and 3rd party losses, breaches to the Privacy Act and loss of profits following the insured event. If you have information stored on a cloud database, you may be surprised to know that in many cases, you are still legally responsible for how this information is handled. Your 3rd party vendor has very little protection for you, and at the end of the day it is your responsibility to get a problem fixed and pay for the damages. This is why it is important to read the fine print of your cloud hosting contracts. If you do find that your cloud provider is not responsible for mistakes or breaches to your data, at least you are protected. Securing a cyber liability policy doesn’t have to break your budget. With the right broker, such as NTCA Affiliate Member Schechner Lifson Corp., and partner insurers, you can secure affordable coverage that will provide the level of protection that is needed in today’s fast-paced world. “I have been a member of NTCA for several years,” Miller said. “We take advantage of our annual rebates, we learn from the newsletters and TileLetter, on a few occasions we have even called and spoken with someone for technical support regarding installation. I’m having issue with glass tile for one our customers. We’re trying to determine what’s causing the cracking. I believe it might be due to the thinset shrinking. Is it possible that it may be the tile? Yes, it is possible that the glass cracking could be due to thinset shrinkage as it cures, especially if the maximum bond coat thickness of the thinset was exceeded. But looking at the two photos you sent, here are my guesses. weight of the door on the fastener at the pressure point if all components of the door installation were not properly aligned or balanced. In the second photo showing the closeup of the grout joint, it is difficult to know what caused these small fractures. The photo is taken too close to see a context of the location in the shower. It appears that the photo was taken very close to the glass and the fractures are fairly small. My guess is the fractures may have been in the tile at the time it was installed and they weren’t noticed by the installer. If you need a solid determination of these fractures, a third party consultant that can make an onsite evaluation may be needed. We are members of NTCA and would love some technical advice on thin panel installation. We are supplying large-format, thin porcelain panels for an exterior façade in Oakland, Calif. It is approximately 2,500 sq. ft. at 102˝ x 47˝ x 6.5mm and we are researching installation options for the owner that do not involve the normal setting method. It would be great to know what options there are for a “rail & clip” system versus full contact installation. At the very least, it would be great to get some information on the guidelines and practices for installing thin panels using some sort of clip or fastening system. Thanks for contacting us. I took a quick look at the manufacturer’s instructions. They are very typical of most gauged porcelain tile panel manufacturers. I did not see anything other than the direct bond method as an option for installation. Most distributors of thin porcelain tile have been working with installation product manufacturers and tool companies to present a system approach to installation. Some even require the use of manufacturer trained installers. Last April there were new standards added for this product. ANSI 137.3 and ANSI 108.19. ANSI 137.3 deal with standards for the product itself. ANSI A108.19 deals with the installation of the product. I would encourage you to reach out to the manufacturer to see if they would recommend another fastening system. We always encourage our members to follow manufacturers’ instructions explicitly. It decreases your liability in projects. Thank you for contacting our NTCA Technical Team with your question. Robb is correct. 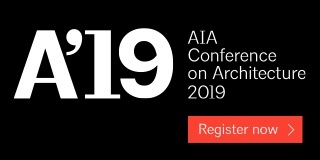 ANSI A137.3 and ANSI A108.19 are the industry standards adopted this year for the production and installation of gauged porcelain tile and panels/slabs. These standards call for the installation of this material in a thin-bed type system with special emphasis on the installation process for floors and walls outlined in A108.19. As Robb stated, it is important to follow the tile manufacturer’s instructions. Contact them to be sure you understand their instructions thoroughly. Deviation from installation instructions can result in lack of warranty coverage and/or acceptance of risk by the installation contractor. The Tile Council of North America (TCNA) has the new standards available on its website for electronic download and it is taking pre-orders for a limited-edition hard copy. You can find the information to purchase an electronic version or reserve your hard copy on the TCNA website www.tcnatile.com/products-and-services/publications/218-english-publications/227-ansi-a137-3-and-a108-19.html or http://bit.ly/2i4iP4p. Local codes will likely have specific requirements for installing tile above a certain height, especially on an exterior. Please be certain to contact the code official responsible for the municipality this installation is located in. Many setting material manufacturers make specialty mortars for installation of these tiles. You will want to involve your setting material manufacturer to help you determine the best mortar for the application and ask them to work with you to write a site-specific system warranty based on their instructions and industry standards.